HCM City (VNS/VNA) - The textile and garment industry, aiming to take advantage of free trade agreements (FTAs) with a focus on green manufacturing, is upbeat about earning 60 billion USD from exports by 2025. Last year, the industry earned 36 billion USD in exports, up 16 percent year-on-year, making the country one of the world’s three biggest exporters of textiles and apparel, according to the Vietnam Textile and Apparel Association (VITAS). Vu Duc Giang, chairman of VITAS, said the association this year set a target of 40 billion USD in exports, up 11 percent year-on-year. Speaking at the 2019 Global Textile and Apparel Supply Chain Conference held last week in HCM City, Giang said the industry was expected to enjoy a trade surplus of 20 billion USD, and employ 2.85 million workers. Textile enterprises have seen positive signs for orders this year. “Many businesses have already received orders for the first six months of 2019 and even for the entire year,” he said. Because of increased capital flow to the industry, the country has gradually completed a textile and apparel supply chain, while the upcoming enforcement of new FTAs will also be a good factor for the industry this year. 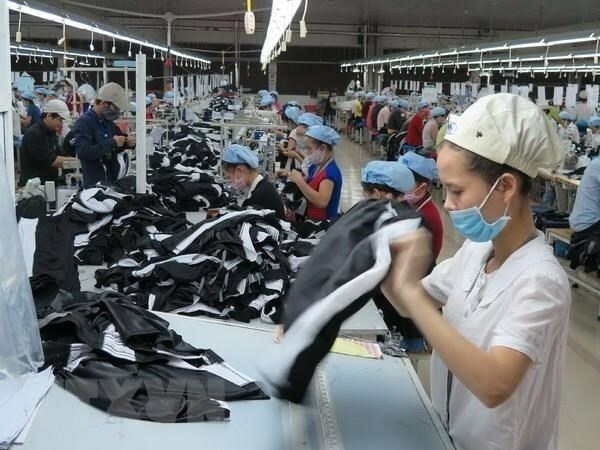 This year, the Comprehensive and Progressive Agreement for Trans-Pacific Partnership (CPTPP) is expected to boost the development of many industries of Vietnam, including the textile and apparel industry. The industry is also expecting more orders to shift from China to Vietnam due to the ongoing US-China trade war. Vietnam is participating in 16 FTAs. Ten out of 12 signed agreements have been enforced, including the ASEAN Trade in Goods Agreement, the ASEAN-China FTA and the ASEAN-Korea FTA, while the two remaining, the CPTPP and the ASEAN-Hong Kong FTA, have not yet come into force. Participation in various FTAs could help Vietnamese enterprises have more choices in exporting their products, but it also brings challenges to the industry, according to VITAS. The FTAs that Vietnam has signed all have environmental barriers with higher green standards, which require enterprises to improve not only product quality but also production processes. If enterprises fail to do this, they will face a risk of having orders stopped or rejected, especially orders from major international garment brands. Most Vietnamese textile and apparel enterprises do outsourcing, so they rely heavily on orders from other countries. Customers worldwide are now more environmentally conscious, which has forced global brands to improve operations to include higher environmental and social standards. Giang recommended that Vietnam should continue its efforts to ensure environmental protection in manufacturing to become a “sustainable supplier of choice” of textile and apparel. The country has committed to fully implementing 17 goals of the 2030 Agenda for Sustainable Development to ensure economic, social and environmental benefits, according to Giang. “Implementing a shared responsibility to respond to the 21st century's biggest global challenge, Vietnam and the international community ratified the Paris Agreement on climate change in 2015. And the textile industry is part of that commitment,” he said. Nguyen Thi Tuyet Mai, chief representative of VITAS office in HCM City, said that many provinces established their own industrial parks for textile and garment activities. The industrial zones have invested and put into operation wastewater treatment systems, helping businesses complete their responsibility to protect the environment during production. VITAS set up an Environment Committee three years ago and has taken part in an action programme for the Green the Textile and Apparel Industry group. In addition, last year VITAS and the World Wide Fund (WWF) for Nature launched a project to green the textile industry. The project aims to encourage players in the domestic textile sector to promote better river basin governance, water quality improvement and sustainable energy use. Marc Goichot from WWF-Greater Mekong said that greening the textile sector in Vietnam would help achieve its wider goal of addressing river governance and energy sustainability, which are top global environmental concerns. With 6,000 factories nationwide, employing some three million people, the textile and apparel industry contributes 15 percent of exports. The industry is, however, causing a serious environmental impact. Intensive water extraction, use and discharge of wastewater, and high-energy consumption for water heating and steam generation caused by the industry can seriously affect water resources and greenhouse gas emissions. As the industry continues to expand, improvement in practice will be required to reduce the impact.